Black Rain Ordnance Spec 15 Bolt Carrier Group, Black Nitride Finish Bro spec15 bcg. 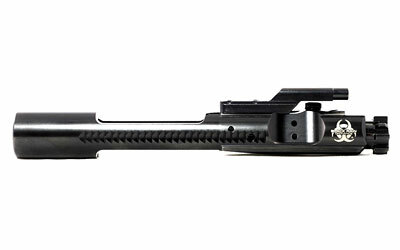 The Black Nitride makes this bolt carrier extremely smooth like chrome without the variations of the plating process. The Nitride coating also makes it very easy to clean. Gas Key is made from Solid Billet and properly/professionally staked. This is for 223/5.56/300 BLK.